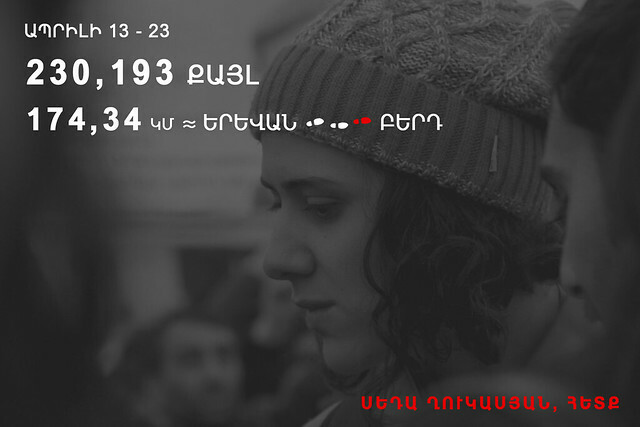 In just two weeks, the word “step” in Armenia has changed from an ordinary noun to an extraordinary one. It gained new meaning and shade, it began to express an attitude, an opinion, a mood, it became a real movement. 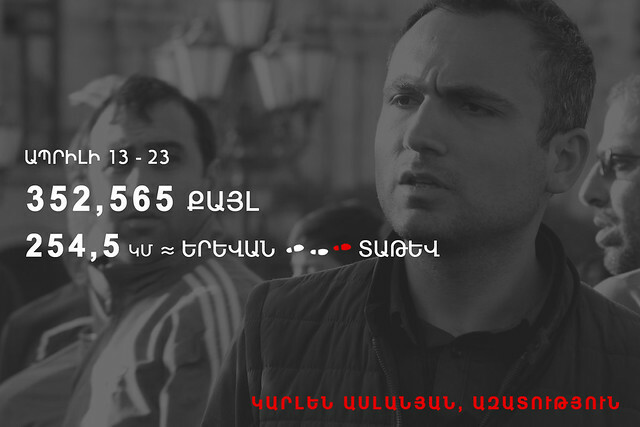 Everything started on March 31 from Gyumri’s Vardanants square, with Civil Contract party leader Nikol Pashinyan’s, his party’s and supporters’ march against Serzh Sargsyan’s possible third term in administration. 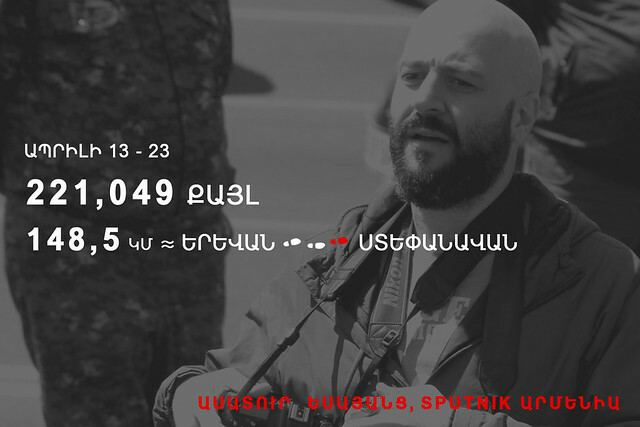 Pashinyan announced the initiative, which then gained the name “My Step,” whereby in two weeks they would travel to different cities in Armenia completely by foot and on April 13, they would reach Yerevan’s Freedom Square. Here the movement gained a new rhythm. Everyone began walking, some people according to their own initiative, others by submitting to the new rules of the game. 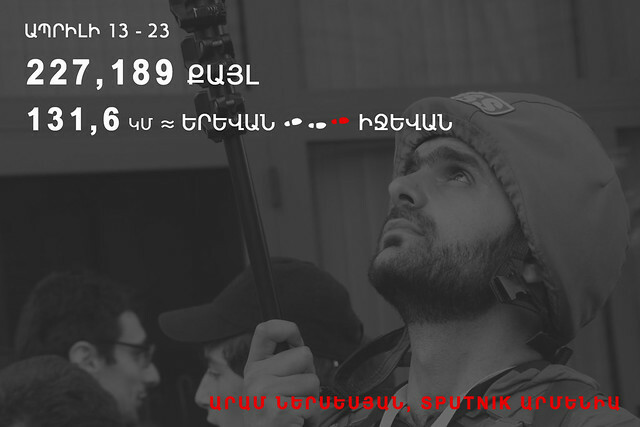 Today, journalists, photojournalists and cameramen who are covering the movement are also walking a lot, often backwards, in fact. 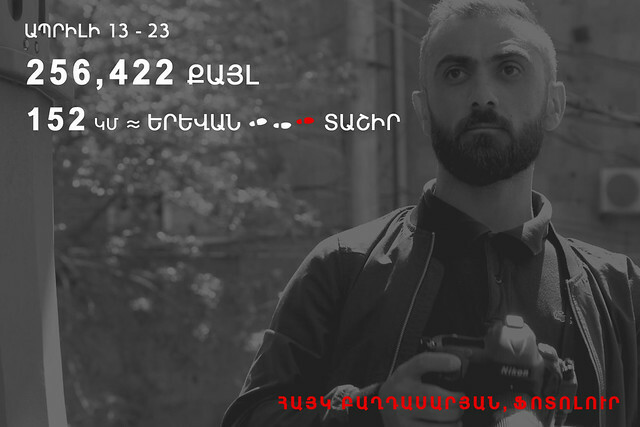 We present the dynamics of their movements, before the movement and during the movement (before, between April 2-12, during between April 13-23, when the movement recorded it’s first success, as Serzh Sargsyan resigned from the position of Prime Minister). 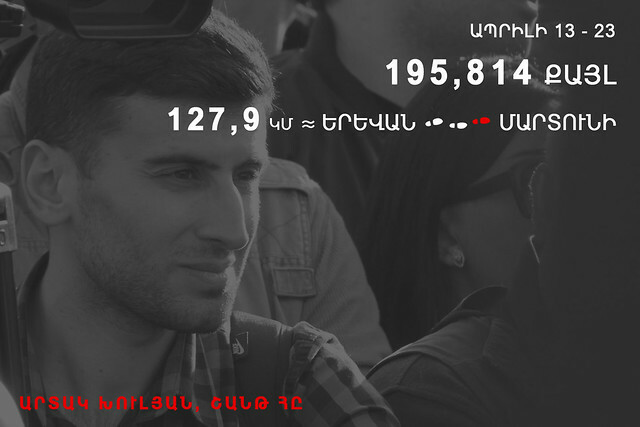 The data has been collected using mobile applications used by the journalists.